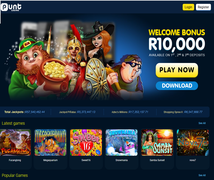 We are dedicated to South African Online Casinos that accept Gambling in Rands ( ZAR ). 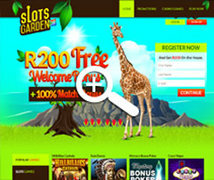 We have recently added quite a few New South African Casinos. 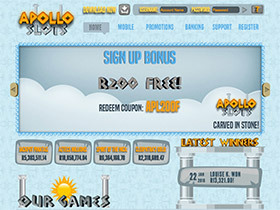 Have a look at Apollo Slots and White Lotus Casino below, who are both New RTG Casinos that are dedicated to Rand Players and Volcanic Slots which is the New Kid on the Block and also comes with Brand New Gaming software never seen in South Africa before - Habanero systems! 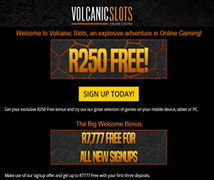 Bonus : R300.00 Free No Deposit Bonus. 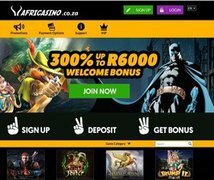 Although this is a Southern African Site with online casinos for South African players - We do get many overseas visitors and the majority of casinos listed on this site also accept Non South African Players. 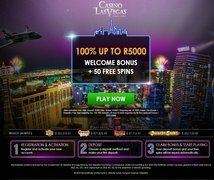 Disclaimer: Please ensure Online Gambling is Legal in your Jurisdiction prior to playing at any online casinos for real money.